And now, for something completely different! 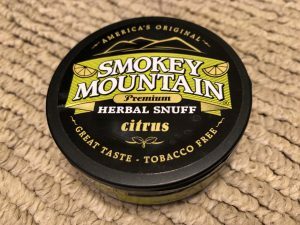 Today, I’m going to be reviewing Smokey Mountain Tobacco Free Citrus! This is a tobacco free, nicotine free long cut product! “Wait a minute, what’s the point of this?” you may be asking. 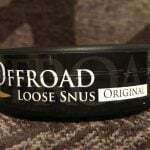 Well, there are a few people that want to quit snus (or dip), and miss the feeling of a pinch in their lip. 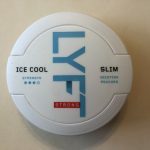 Products like this are a great alternative for those who choose to go that route. “Okay, so what’s in this stuff?” you may also be asking. According to the Northerner.com description, “Smokey Mountain Snuff is made with hand-selected corn silk and kudzu root. The manufacturer believes that these expensive herbs provide the best base for tobacco-free snuff. 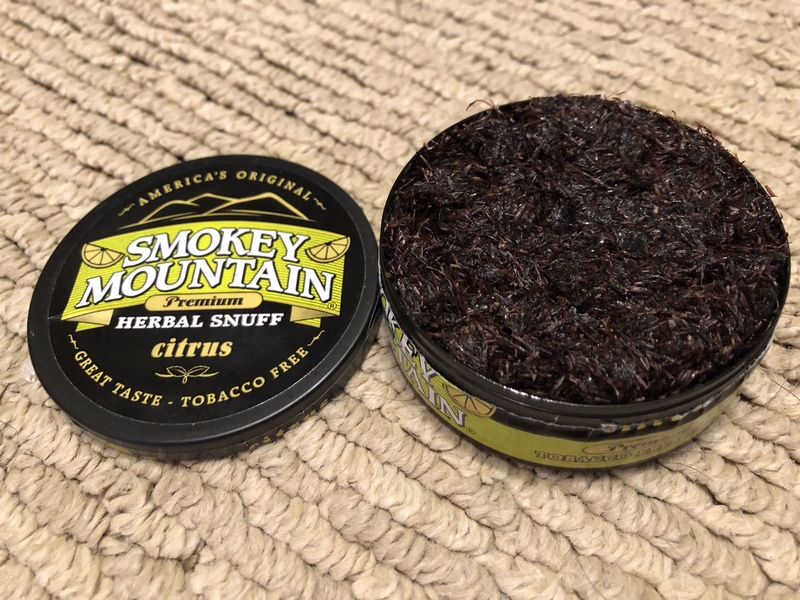 Smokey Mountain Snuff also contains a proprietary blend of ingredients and flavorings in order to produce a rich, smooth taste. It’s spitless!” The flavor of this product is described as a “a sweet and tangy citrus flavor. 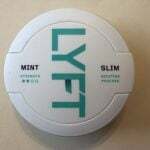 This is a loose cut product that consists of small strands of tobacco.” The total can weight is 28.35 grams. When you open the can, the aroma that greets you is a nice, tangy, lightly sweet smell of lemon. The material itself (because I don’t know what else to call it since it isn’t tobacco) is a lot like long cut snus or long cut dip. You can’t bake it, you basically just have to take a pinch and throw it in your lip. I’m not too experienced with this, so it’s a mess at first. The material is interesting; I find it to be moist, and it quickly releases flavor, but it doesn’t feel like anything I’ve ever had before. The flavor of this one is a lightly sweet, slightly tart, tangy taste of lemon. It’s super tasty! There’s a slight sweetness, which isn’t too overpowering. It has a dark quality to it which is hard to describe. The flavor lasts a good amount of time – on average up to about 45-55 minutes. 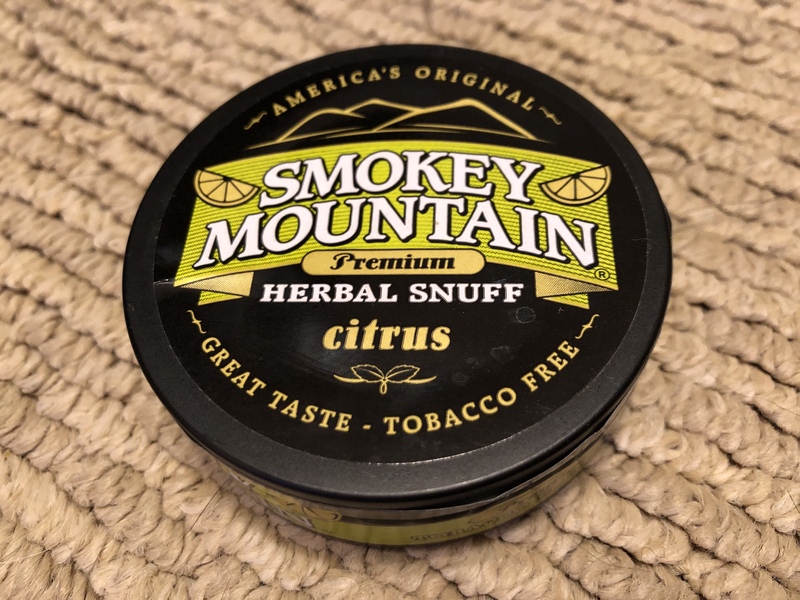 If you like wintergreen and want to quit dip, Smokey Mountain Tobacco Free Citrus is a good option to try out!